COMMON SENSE FOR YOUR DOLLARS & CENTS Schedule your showing today & come take a look to take advantage of a value packed Blevins Builder home in the coveted subdivision Bridgewater, located in Auburn, Indiana. 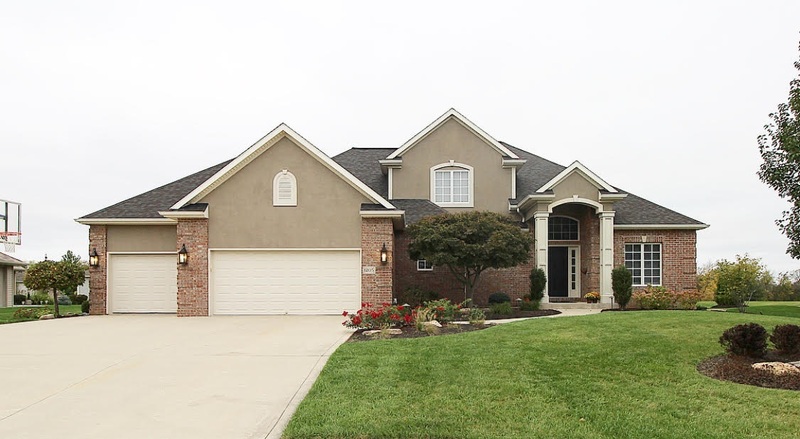 This massive 5 bed/3.5 bath two story on a finished basement features so many amenities right at home. With a contemporary open floor-plan this home walks seamlessly between functionality & entertainment. Scroll through these photos to see no stone unturned from the magnificent outdoor space that features an in-ground pool, a built in grilling space with pavers, and a fire-pit to lounge around. To the basement where your entertainment can move in doors that features an oversized wet bar adjacent to the custom built in entertainment system that sits in-front of multiple gaming tables! Also downstairs features a couple of bedrooms with a full bathroom and an additional bonus room currently being used as an at home gym. Now on the main level you can find the master suite & laundry, along with a beautiful office/study that features french doors. Upstairs are two additional bedrooms with a full bathroom between the lofted space which is a double vanity! Schedule your showing today!